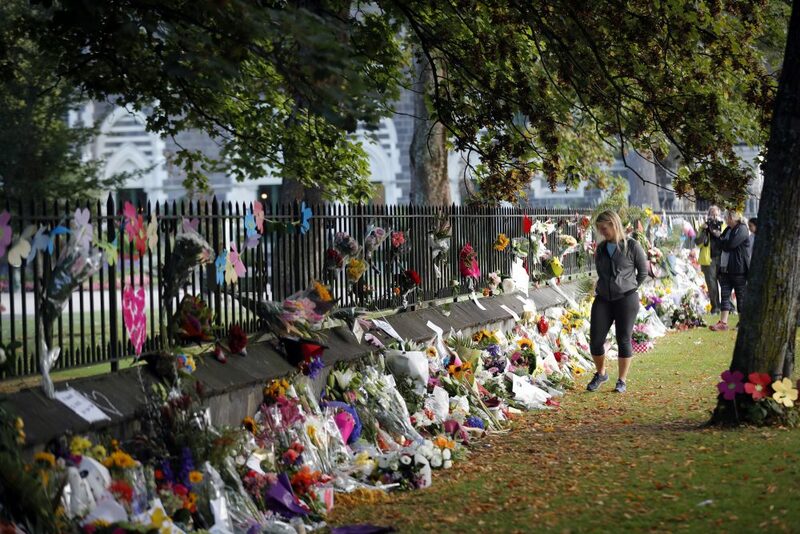 The deadly attacks on two New Zealand mosques should draw attention to an obvious fact: Terrorists linked to the far right are no less murderous than the Islamist groups that get more headlines and attention from politicians. Western governments shouldn’t be fooled by the skewed headline count; watching white supremacists should be a priority — alongside preventing the radicalization of Muslim minorities. This is not just a moment to grieve the 49 dead in Christchurch. It’s time to review the data and make a conscious policy shift. Islamist terrorists killed hundreds of people in Western Europe and the U.S. between 2014 and 2016, the heyday of the Islamic State. That drew attention away from far-right terrorists, but they have kept on killing: 66 people in 113 attacks around the world between 2013 and 2017, according to the Sydney-based Institute for Economics and Peace. The Australian think-tank’s count is, however, too low. It includes only expressly politically motivated killings accompanied by white supremacist manifestos or preceded by racist social media posts – like those perpetrated by Norwegian Anders Breivik, who shot 77 people in 2011, or Dylann Roof, who murdered nine black worshippers at a church in Charleston, South Carolina, in 2015. There are other murders that aren’t always confessed so clearly. They are often mixed in with everyday thuggery and violent psychosis in police statistics. The U.S. Anti-Defamation League attempts a broader count, stressing murderers’ links with far-right organizations rather than their stated motives. According to the group, right-wing extremists were responsible for 70 percent of the 427 extremist-related killings that occurred in the U.S. in the past 10 years. In 2018, every one of the perpetrators of the 37 extremist-related murders in the U.S. had ties to at least one far-right movement, although one had recently switched to supporting Islamist extremism, the ADL says. Importantly, the number of incidents of violence perpetrated by the far-right is on the rise. The Institute for Economics and Peace noted in its 2018 Global Terrorism Index report that the number of such killings increased from three in 2014 to 17 in 2017. Meanwhile, Islamist-inspired terrorism appears to be on the wane, with the attempt to create a caliphate in the Middle East roundly defeated and the ideal of pure Islamic statehood losing its attractiveness to the assorted misfits among the West’s Muslim minorities. According to Jane’s Terrorism and Insurgency Center’s Global Attack Index, fatalities linked to Islamic State declined by 51.5 percent in 2018. The far right has never killed on the same scale as the Islamic State. But it has grown by feeding off white supremacists’ fears of Muslim immigration and the public perception that terrorism is Islamist by nature. That process has been helped by the fact that Islamist-linked attacks receive disproportionate media coverage. A recent paper by Erin Kearns of the University of Alabama and her colleagues showed only 12.5 percent of the 136 terrorist acts that occurred in the U.S. between 2006 and 2015 were linked to such groups — but they received more than half of the news coverage. If the perpetrator is a Muslim, the number of stories about the attack increases by 357 percent, the academics calculated. In a separate paper, Kearns showed that giving people more data about terrorism doesn’t necessarily change their minds about its prevalence and nature. Policymakers, though, should be more willing to put their biases aside. While it would be foolish to ignore militant Islamist groups, governments must pay close attention to right-wing extremist organizations. In Germany, the Federal Office for the Protection of the Constitution already monitors all such groups (or 25,250 people at the last count in 2017, up from 9,600 in 2012). The authorities don’t just make a special effort to track right-wing crime by motivation, they also try to assess how many of their members are capable of violence through monitoring and infiltrating radical groups. Though the German record of fighting right-wing violence is far from spotless (and the growing membership of radical groups is evidence of that), the approach itself is correct. Western governments must make an effort to keep a close eye on the far right just as they do on potentially dangerous Muslim groups. And they should adopt the approach to recording crime used by the Anti-Defamation League. This means assuming the specific motives of a violent crime are less important than the perpetrator’s links to a white supremacist group. Such assumptions, after all, are already being made about Islamists. The mechanisms of radicalization are similar regardless of religion and ethnicity. Anti-terror policies should be based on that fact and be equally tough on every kind of murderous radicalism. The Christchurch killings are a reminder that this is not yet the case.